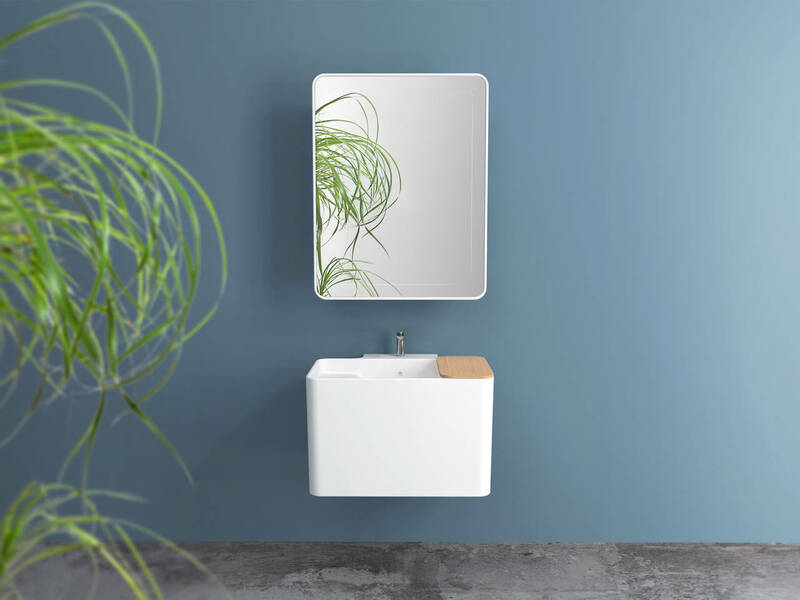 A hybrid object, perfectly at home anywhere, not only in the home but in offices and workplaces too; a concept taking into account the evolution of people's habits and lifestyles today; a sink with a twin identity and a fresh, innovative look. 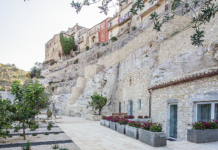 Anfibio is all this and more, an evolving organism, an element with a bold personality and an extraordinary ability to adapt, a precious aid in everyday life. 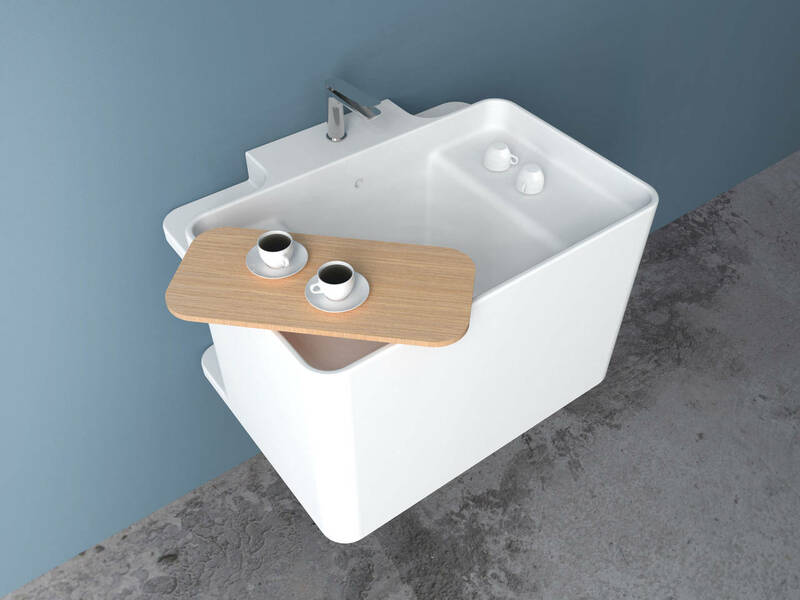 The large central basin has two steps at the side where cups and glasses can be placed to drain after washing and convenient rear compartments half-hidden in the sink's structure for storing washing pads, cutlery holders and soap containers, keeping everything conveniently close at hand. Original in combination with a series of accessories, including a mirror designed with the same shelf system at the back of the ceramic sink. 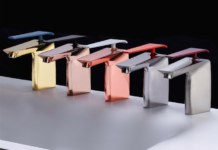 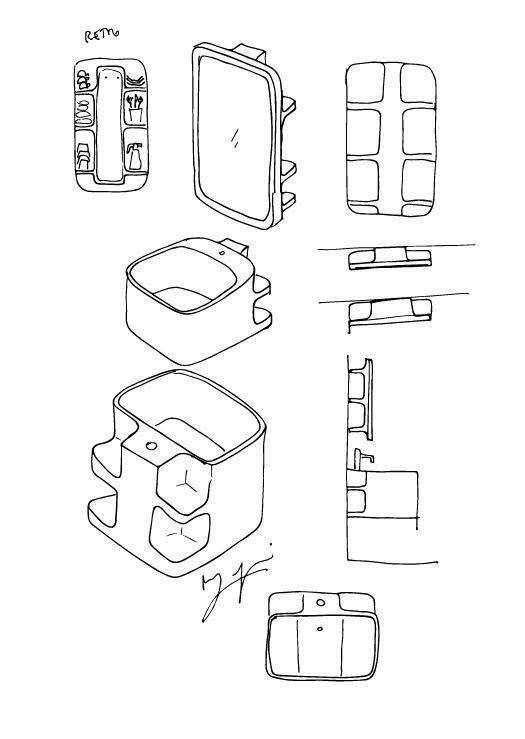 "My designs are often created in response to the little ‘dramas’ of daily life," explains Matteo Ragni, "and it was my own personal needs that inspired Anfibio, a passe-partout designed to make life easier for people who use the sink not as a mere object, but as a functional and relational space".